I was the lead UI designer for the MOTOBLUR Calendar app throughout 2010. I conceived of the updated toolbar UI design, bringing more consistency in the user experience with other core apps on the phone while maintaining as much of the original base Android experience as possible. Motorola worked hard to enhance the calendaring experience with an emphasis on enterprise users. The Motorola version offered much better integration with ActiveSync/Outlook, support for one-touch entry to a conference call, and integration with Facebook events. The Month View featured Motorola's new command bar UI pattern at the top of the screen, which I heavily promoted within the UX team. Most of the new or updated "Blue Blur" Motorola apps, as we called them, adopted the UI pattern in some way. Touching the word "Calendar: Month" displayed the View Popup. 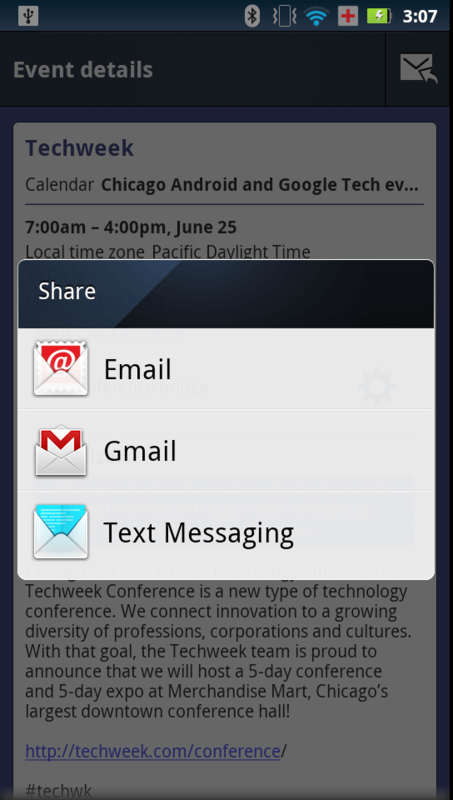 This popup allowed the user to change views easily, such as to the Agenda or Week view. If the user integrated multiple Outlook or other calendars, then those options appeared here, as well. The UI pattern for this popup followed the designs I used on the Apps Launcher Screen and Tasks app. The basic calendaring experience supported 4 views: Month, Week, Day and Agenda. 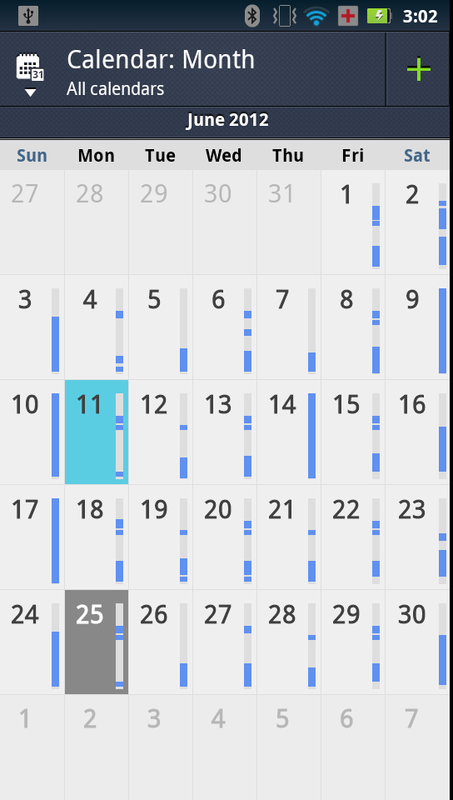 We heavily customized the Event View to provide support for ActiveSync/Outlook calendars, including Out of Office and Tentative types of events (not shown). Among multiple other features, we also added support for setting a conference bridge for an event, or a global value for all events created by the user. We built enhanced support for sharing and importing calendar events via vCards. At the time, these features were more advanced that the iPhone and what was available from most other Android competitors. This is an example of the bottom of the new Event Edit Screen. 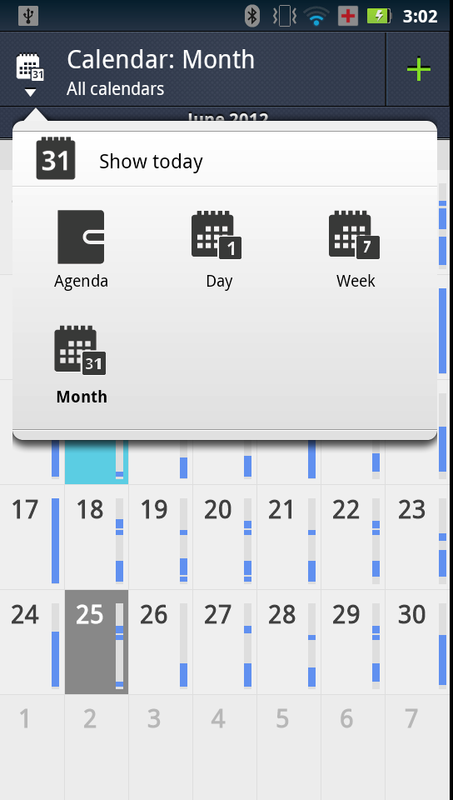 We added a ton of extra handling for better integration with ActiveSync/Outlook calendars. We also added support for conference call bridges, which was quite a challenge. 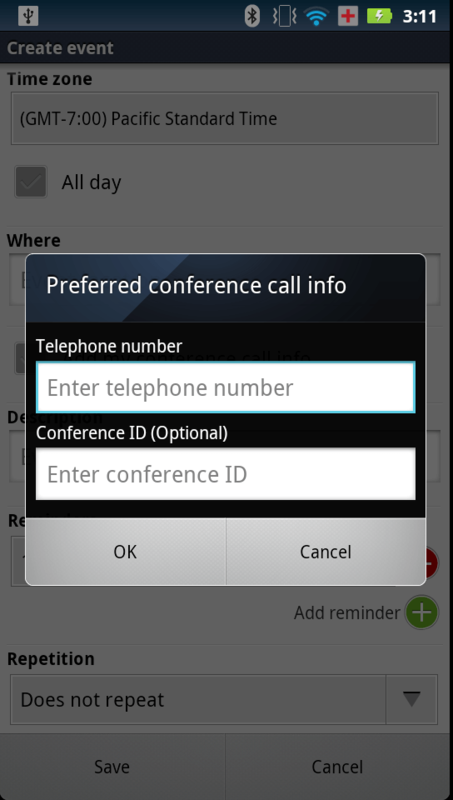 The user could optionally add details about a conference call bridge related to the meeting. 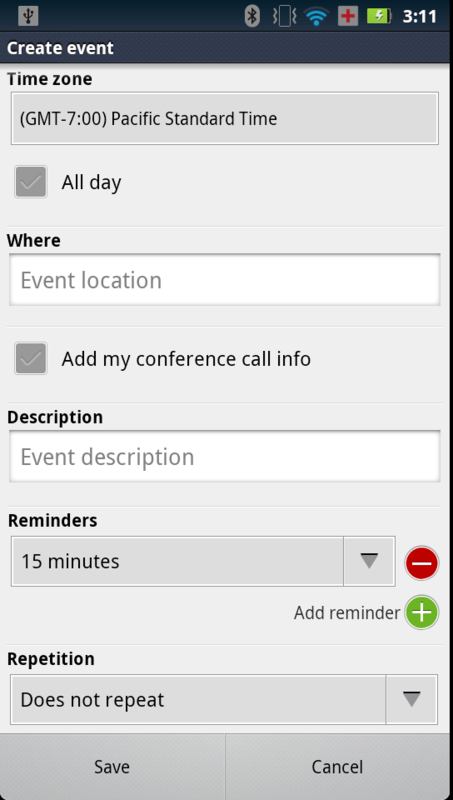 This feature was intended to enhance the calendaring experience for enterprise users.